A study recently published in the Journal of Infectious Diseases, Medical Exemptions to School Immunization Requirements in the United States–Association of State Policies With Medical Exemption Rates (2004-2011), found that more parents get medical vaccination exemptions for their kindergarten children in states in which they are easier to obtain. A perfectly predictable result, based on anecdotal observations of the arguments that I’ve observed on the internet. The study found that the number of medical exemptions was relatively low during the seven years of the study period, but the rate was more than 6X higher in states with relatively easy medical exemption criteria when compared to states with more difficult exemption standards. As I reported previously, as more parents get vaccine exemptions, herd immunity can be impacted, and children in schools with low immunization levels can face outbreaks of diseases that were once thought rare. The authors rated the medical exemption criteria as difficult in only three states: Arkansas, New Mexico, and Wyoming. The criteria were rated as medium in 17 states and easy in 30 states. The nationwide rate of medical exemptions ranged from a low of 263 per 100,000 children (0.26%) in 2006-07 to a high of 411 per 100,000 (0.41%) in 2008-09. The national total of exemptions increased from 11,277 in 2004-05 to 13,952 in 2010-11. The total number of exemptions for kindergartners over the 7 years came to 87,631. Medical exemptions were more numerous in states that had difficult or medium rules for nonmedical exemptions (380.5 and 364.3 per 100,000, respectively) than in states with easy nonmedical exemption rules (221.3 per 100,000). Let me repeat what I’ve written before. I am strongly opposed to ALL personal exemptions to vaccines, and that viewpoint is supported in the United States by the Supreme Court ruling in Jacobson v United States which states that the freedom of the individual must sometimes be subordinated to the common welfare and is subject to the police power of the state. In other words, if vaccine denialists want to use public schools, then they must vaccinate. The common good outweighs personal beliefs, especially if that personal belief is unsupported by facts and evidence. Moreover, since the issue usually involves enrollment in public schools, they can choose to enroll their children in private schools, although those schools tend to have tough standards for vaccinations, because those don’t want their children being exposed to diseases that could be prevented by vaccines. Furthermore, religious exemptions for vaccines should not exist in a secular country. If you want a religious exemption, then please send your child to a religious school, because a public school is a public institution, and according to the Establishment Clause of the First Amendment of the United States Constitution public schools cannot favor one religious group over another. Or over those who don’t care about religion. In fact, the Jehovah’s Witnesses, who are opposed to almost all medical procedures, are not opposed to vaccinations. Contraindications and precautions to vaccination are conditions under which vaccines should not or likely should not be administered. Because the majority of contraindications and precautions are temporary, vaccinations often can be administered later if one or more exist. A contraindication is a condition in a recipient that increases the risk for a serious adverse reaction. A vaccine should not be administered when a contraindication is present; for example, MMR vaccine should not be administered to severely immunocompromised persons. In contrast, certain conditions are commonly misperceived as contraindications (i.e., are not valid reasons to defer vaccination). National standards for pediatric vaccination practices have been established and include descriptions of valid contraindications and precautions to vaccination. Persons who administer vaccines should screen patients for contraindications and precautions to the vaccine before each dose of vaccine is administered. The only contraindication applicable to all vaccines is a history of a severe allergic reaction (i.e., anaphylaxis) after a previous dose of vaccine or to a vaccine component (unless the recipient has been desensitized; see Special Situations section). Severely immunocompromised persons generally should not receive live vaccines. Children who experienced encephalopathy within 7 days after administration of a previous dose of diphtheria and tetanus toxoids and whole-cell pertussis vaccine (DTP), DTaP, or Tdap not attributable to another identifiable cause should not receive additional doses of a vaccine that contains pertussis. Because of the theoretical risk to the fetus, women known to be pregnant generally should not receive live, attenuated virus vaccines (see Special Situations section). A precaution is a condition in a recipient that might increase the risk for a serious adverse reaction or that might compromise the ability of the vaccine to produce immunity (e.g., administering measles vaccine to a person with passive immunity to measles from a blood transfusion or administering influenza vaccine to someone with a history of Guillain-Barré syndrome within 6 weeks of a previous influenza vaccination). 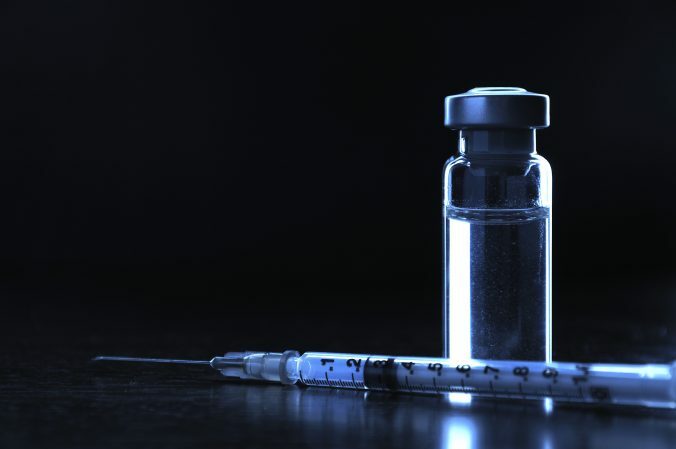 A person might experience a more severe reaction to the vaccine than would have otherwise been expected; however, the risk for this happening is less than the risk expected with a contraindication. In general, vaccinations should be deferred when a precaution is present. However, a vaccination might be indicated in the presence of a precaution if the benefit of protection from the vaccine outweighs the risk for an adverse reaction. For example a dose of DTaP should be considered for a person in a community with a pertussis outbreak even if that person previously developed Guillain-Barré syndrome after a dose. The presence of a moderate or severe acute illness with or without a fever is a precaution to administration of all vaccines. The provider should ask the parent or guardian if the child is ill. If the child has a moderate or severe illness, the vaccination should be postponed. Clinicians or other health-care providers might misperceive certain conditions or circumstances as valid contraindications or precautions to vaccination when they actually do not preclude vaccination. These misperceptions result in missed opportunities to administer recommended vaccines. Among the most common conditions mistakenly considered to be contraindications are diarrhea, minor upper respiratory tract illnesses (including otitis media) with or without fever, mild to moderate local reactions to a previous dose of vaccine, current antimicrobial therapy, and being in the convalescent phase of an acute illness. In other words, reasons to medically exempt children from vaccines are unusual and should be infrequently given. In fact, as the ACIP states, it’s so rare that sometimes physicians misperceive reasons for not giving vaccinations. It’s time to stop allowing exemptions, which are nothing more than a cynical method for vaccine denialists to opt out of vaccinating their children, but still putting their children in school, putting other children at risk. If these people don’t care about the health of their children, then they should not be allowed to use public schools. That’s it, simple. No exemptions, except under the most narrow of regulations for medical exemptions. No religious exemptions. No personal exemptions. And very narrow medical exemptions approved by several layers of health care professionals to prevent abuse by the denialists. via Study finds vaccine exemptions rise when easier to obtain | Vaccine News Daily.